Each #3001 package includes 50 feet (15.24 meters) of curvable ties in lengths of 12 inches (30.5 cm) each. The ties do not include code 55 rail, yet it is faster and easier to install the rail than any code 55 flex track on the market today. 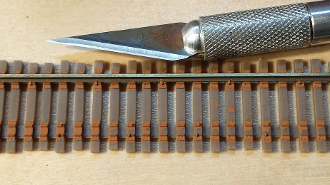 These new self-gauging model N scale ties are like no other on earth because they are designed as close as possible to replicate real prototype mainline railroad ties in 1/160th scale. Simply push the code 55 rail down into the locating tie plates with a roller or flat block. 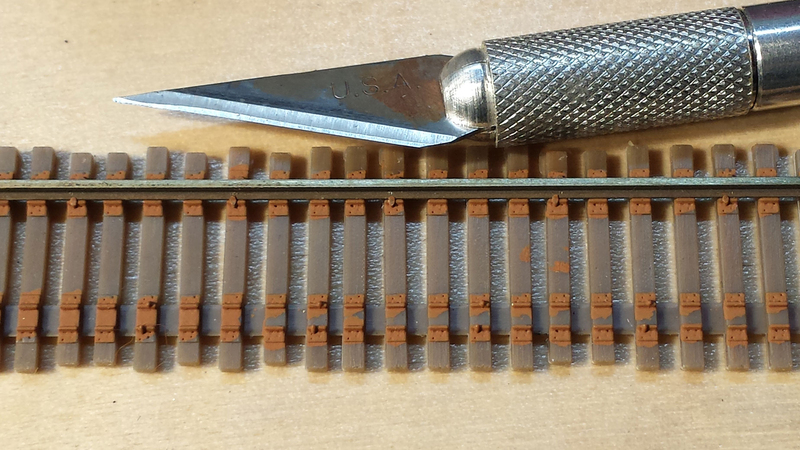 Remember when applying the rail in a curve, pre-bend the rail slightly to reduce stress on the locators. Tie Profile Mixed scale 9ft., 8ft.-6in., & 8ft. Spaced at random 19 ties to each 30 scale feet.